Costs may increase as the level of precision and comprehensiveness required for the survey increases. We have found many times that the answer to boundary problems are in the research of past transfers to correct scrivener errors. An irregularly shaped parcel has more corners and a longer boundary than a regularly shaped parcel containing the same area. This normally requires the survey of the entire Section (being, in theory, a square with sides / one mile being 640 acres) in which the land being surveyed lies, regardless of the area of the parcel. In some cases, a survey of more than one Section is required, depending on the location of the parcel in question. A flat field is easier to survey than a mountain. Drones or GPS can mitigate this challenge somewhat, depending on vegetation/tree cover. Branches, brush, and trees must be trimmed to afford clear paths and access of sight for the Land Surveyor to work. The time varies with the distance to the job, and once on site the difficulty in reaching the corners. Sometimes the only way to reach a corner is walking. Existing evidence such as iron pins, stone monuments, old fences, witness trees, etc., aid the Surveyor. Their absence may compound difficulties involved in retracing the original survey. Someone pointing out lines, documentation, and access is a considerable aid to the Surveyor. When neighbors are cooperative, an otherwise difficult or impossible boundary line location may be established by agreement, which will save costs. In the summer, foliage presents a problem. In winter, weather slows travel and sometimes conceals field evidence. Title Insurance Companies may require considerably more documentation than normally provided to meet the average owner’s needs. California law requires a map or document to be filed with the County Recorder or County Surveyor when boundary lines are determined or when monuments are set or reset. The legal description of my property deed refers to chains. What are those? The Gunter’s chain usually referred to as a chain or abbreviated ch., is a unit of measurement invented by Edmund Gunter in 1620 and commonly used in survey distance measurement until the early 20th Century. A chain is 66 feet long, divided into 100 links. An acre is 10 square chains. Conversion of chains is simple. If a line is represented as being 8.76 chains in length, just multiply it by 66, to get the length in feet, in this case, it’s 578.16 feet. My deed says that my property is located in T#N, R#W. What does that mean? T stands for Township and R stands for Range, units that were created for the Public Land Survey System (PLSS). The PLSS dates back to 1785 and was proposed by Thomas Jefferson as a way to standardize property located across the USA that was rapidly annexing new territory. Township is a north-south measure of six miles and Range is an east-west measure of six miles. These units are further broken down into 36 units called Sections. A Section is one square mile of land equaling 640 acres. My deed says that my property is located in a Rancho. What does this mean? California didn’t become a State until 1850, prior to which, the Spanish government deeded the land to people and called these lands Ranchos. The Rancho boundaries preceded the Township and Range measurements. The Rancho borders continued to be used to describe the location. A licensed Land Surveyor is a part of a professional team comprised of attorneys, engineers, architects, planners and landscape architects. Choose a reputable, Professional Land Surveyor whose skill and judgment you trust. A Surveyor should not be selected by price. Competency is of most importance. Your selection should be made after you are sure that they have all of the facts and are completely aware of your needs and of the requirements of the governing body. Land Surveyors, like other professionals, vary in knowledge, ability, and competence. It is important that you select the best since their work is the foundation of all you are going to do whether you build a house, bridge, or plant your land or subdivide it. 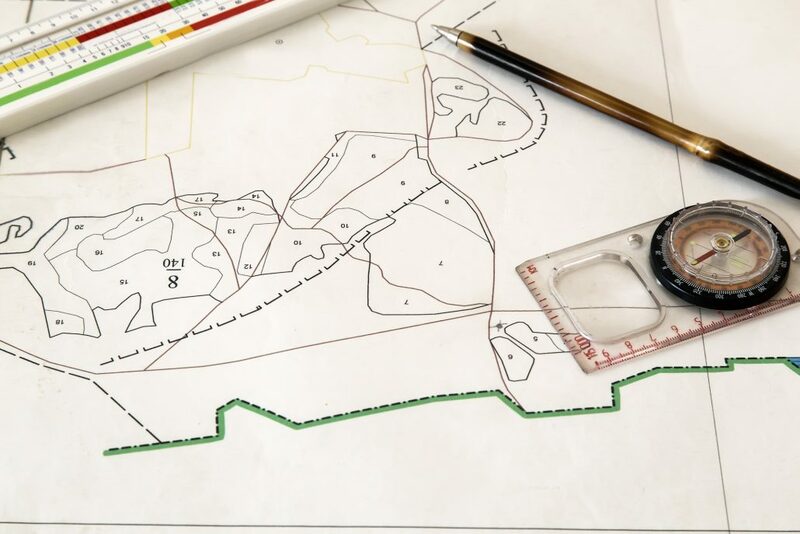 A survey for the express purpose of locating the corners and boundary lines of a given parcel of land. Easement lines may also be located and/or established with this type of survey. A survey locating topographic features- natural and manmade – such as buildings, fences, trees, streams, contours of the land, etc. to be used by engineers and/or architects for the design of improvements, or planting on a site. Precise location, both for horizontal position and elevation of points for use in mapping of aerial photographs, construction staking, environmental monitoring and Geographic Information Systems (GIS). Drones, or small Unmanned Aerial Vehicles (UAVs), are small remotely piloted aircraft, such as a quad-copters that fly over a pre-programmed route. A sophisticated camera on the device takes overlapping photos, which can be stitched together and analyzed to create a highly-detailed aerial photo and a 3-D surface model (Topographic map) of the area surveyed. ALTA surveys are commissioned by the buyer or seller at the request of a lender or attorney for title companies to issue extended coverage insurance. These surveys must adhere to a stringent national standard and require a more detailed report than a boundary survey. Global Positioning System (GPS) is a tool to measure distance and elevation between points. It uses a network of satellites in the earth’s orbit that constantly broadcasts information that is then monitored and interpreted by ground-based receivers. When a GPS receiver reports and records a position, it shows the latitude, longitude, and elevation of that point in space, relative to a globally accepted model of the earth. Using GPS helps avoid typical linear and angular surveying errors. 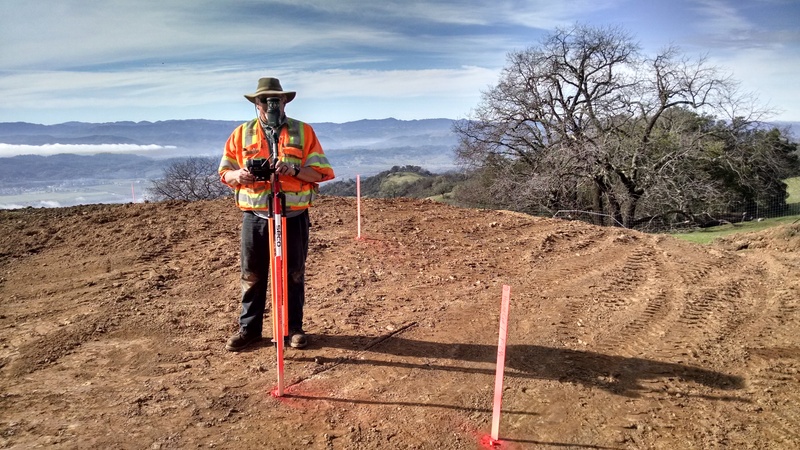 Ray Carlson & Associates is the hub of a Real-Time GPS Network for the North Bay that allows survey-grade GPS with a single rover making work more efficient. Measurement accuracy is paramount when it comes to surveying. Imagine investing in a construction project only to discover it is built partially on your neighbor’s lot. Or selling parcels of land and realizing later that your property boundaries extended farther than you thought or the parcel had more acreage. Ray Carlson & Associates invested in GPS so we could provide our clients with the most accurate surveying measurement. Many surveys, previously considered uneconomical because of terrain or size, are now within economical reach with the use of GPS. Large parcels of land involving multiple government sections can be surveyed more quickly than conventional ground measurements. Remote boundary corners, unseen for decades, can be located by using the navigational capabilities on board our state-of-the-art GPS equipment. Why can’t I survey with the GPS on my phone? Smartphone GPS is usually accurate to within 10 meters or 33 feet, plus or minus, good enough to find a street address but inadequate for finding a survey monument. Acceptable error for surveys, using GPS, is within a half-inch horizontally and one inch vertically. Additionally, the raw data from even survey-grade equipment needs to be post-processed, that is, to be run through an error correction regime to further reduce error. Ray Carlson & Associates uses the latest software and hardware to ensure our surveys are as accurate and precise as the state of the art will achieve.